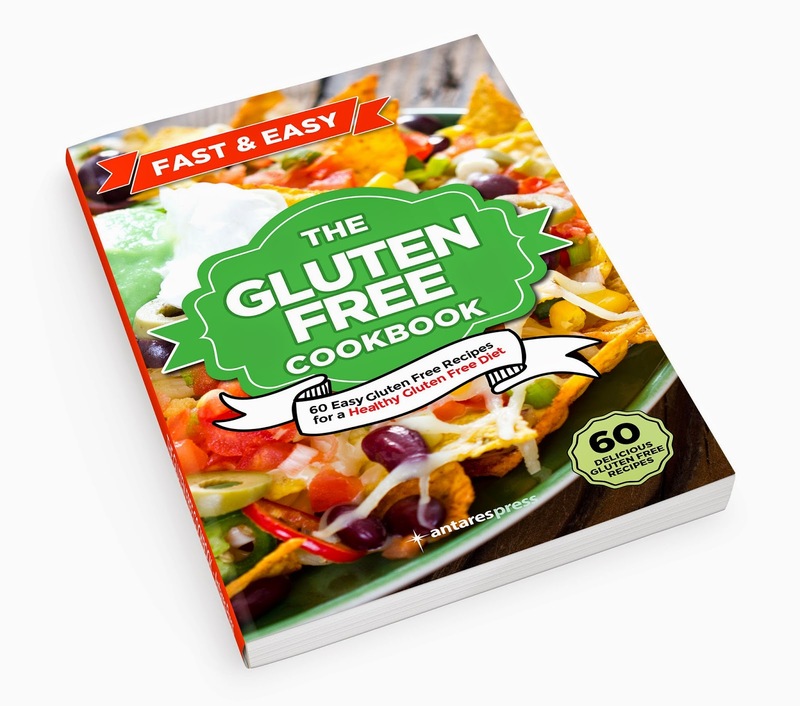 In the Gluten Free Cookbook you’ll find fast and easy recipes that cover breakfast and brunch, snacks and delicious gluten free wraps, quick salads, soups and stews, healthy main meals, delicious desserts and smoothies. The gluten free recipes include: Cilantro Turkey Burgers · Baked Chicken Wings · Chicken-Avocado Wraps · Protein Grain Free Burgers · G-Free Chicken Fajitas · Grilled Taco Salad · Mediterraneo Tomato Salad · Fajita Stir Fry · Chicken Nuggets · Mediterranean Meatballs with Mint Pesto · Gluten Free Chocolate Bars · Vanilla Madeleines · Lemon Cookies and many more. All recipes are 100% gluten-free. The Gluten Free Cookbook -60 Easy Gluten Free Recipes for a Healthy Gluten Free Diet- provides a viable path to a gluten free diet. 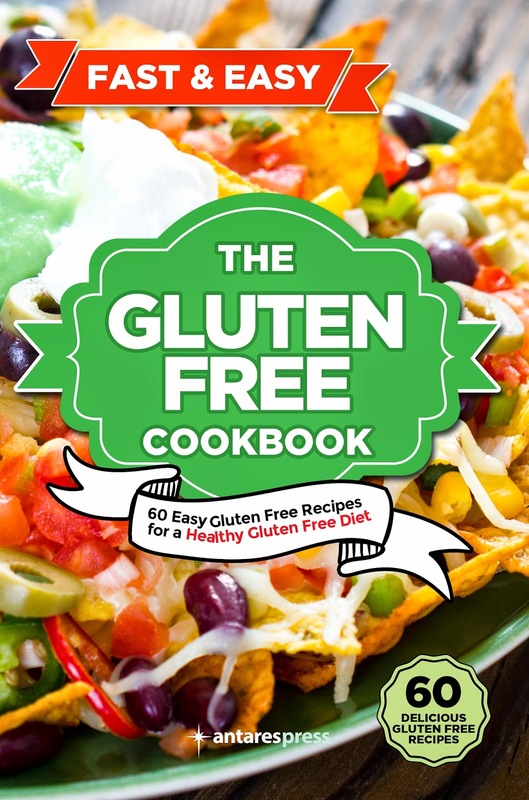 The gluten free recipes include: Cilantro Turkey Burgers · Baked Chicken Wings · Chicken-Avocado Wraps · Protein Grain Free Burgers · G-Free Chicken Fajitas · Grilled Taco Salad · Mediterranean Tomato Salad · Fajita Stir Fry · Chicken Nuggets · Mediterranean Meatballs with Mint Pesto · Gluten Free Chocolate Bars · Vanilla Madelines · Lemon Cookies and many more. - All recipes are 100% gluten-free. I have found that I am liking more and more gluten free recipes so I thought this would be a good gluten free cookbook to try as my first. I like that the recipes are versions of recipes I already make at home. I do wish there were pictures with each recipe but the recipes are nice and everyday kitchen friendly. I recommend it to anyone who requires a gluten free diet and for those that just want to make a healthier version of their favorite recipes.